This 2660SR Pop About Popper 6-oz. 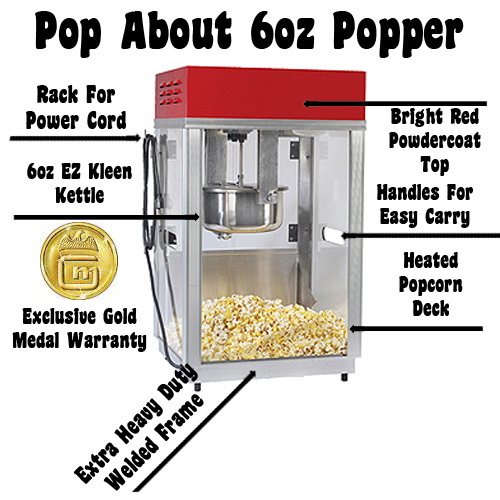 popcorn machine features a stainless steel kettle for fast warm up and consecutive three-minute popping cycles.Silver frame with red dome, Heavy Duty Plexi Glass Windows, HD Doors. Openings on the side to carry as well as a rack for the cord. Best used for Rental Companies The Gold Medal 2660SR offers a two year parts warranty and six months labor. Pop About from place to place with this lightweight, portable 6-oz. popper. 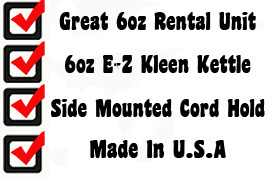 It features built-in handles and cord holder, unique "stay hinged" doors, and an E-Z Kleen Kettle. The EMS system maintains the correct wattage to kettle for optimum performance. 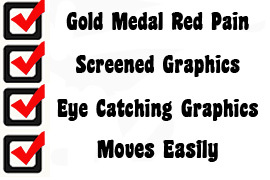 Perfect for your Gold Medal popcorn popper. Screened in gold lettering with gold accents. Moves easy with large wheels. Requires assembly.